Are you looking for something unique for your wedding? Looking for a cool wedding guestbook idea? What are you giving your wedding guests as favors? Are your guests a partying crowd? A photo booth is the answer to all of these! Photos create lasting memories of those big milestones in your life and nothing brings people together like posing in a photo booth with close friends. And even after you've left for your honeymoon, photo booth strips are impossible to throw away! 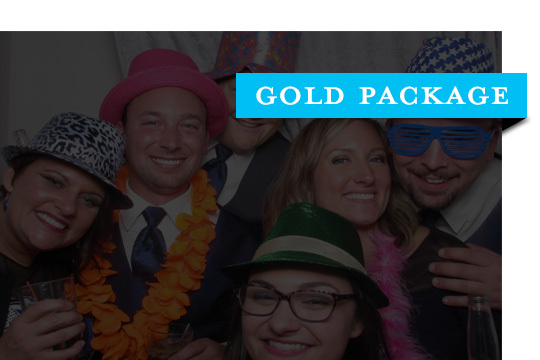 Photo booths simply add memories and fun to your special day in a way that nothing else can! We know weddings and parties! We arrive as early as you need to setup and we don't charge extra for it. If your photo booth rental starts an hour after your ceremony and you’d like us to set up beforehand so we don't interrupt the vows…we totally understand. We’ll set early at no extra charge! You'll even have the help of one of our friendly photo booth attendants during your rental. (They keep things organized as well as fun!) 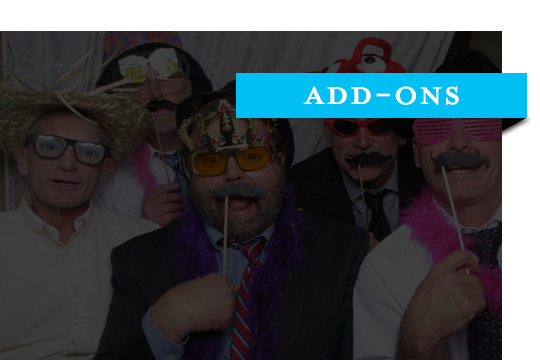 We also include all those fun "extras" that make having a photo booth so awesome! Let's face it, traditional wedding books are boring. Are you really going to go through it years later and read everyone's names out of a white book? Nope! 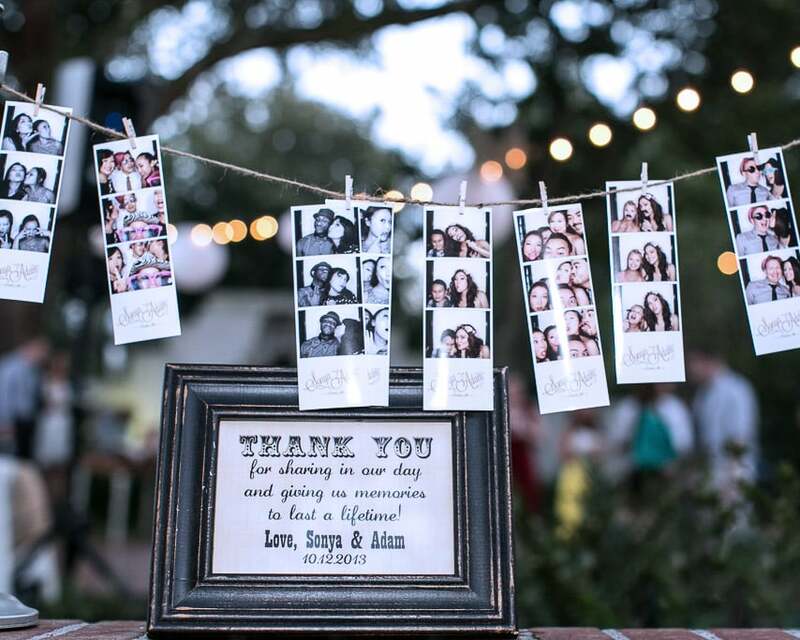 Instead, have your guests sign their names next to their pictures in your photo booth album. 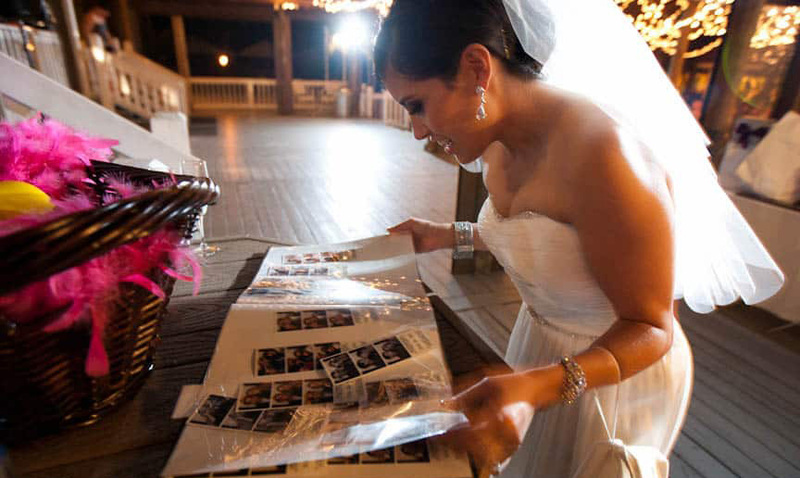 We’ll provide a scrapbook, mounting glue, and pens for your guests to leave a photo strip and personal message for you. Such a fun and meaningful wedding keepsake!! Everyone does candy-covered almonds. Why not give a favor that your guests will keep on their refrigerator forever? Photo strips are like dollar bills…it's impossible to throw them away. 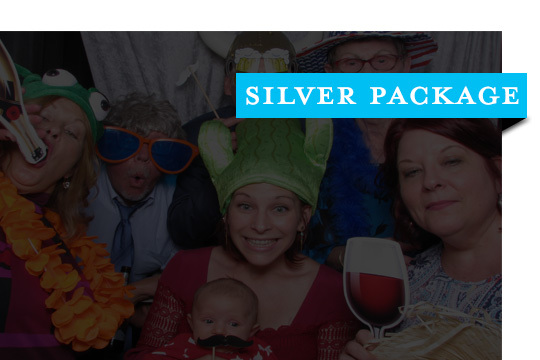 Plus, our photo strips are personalized for your event. 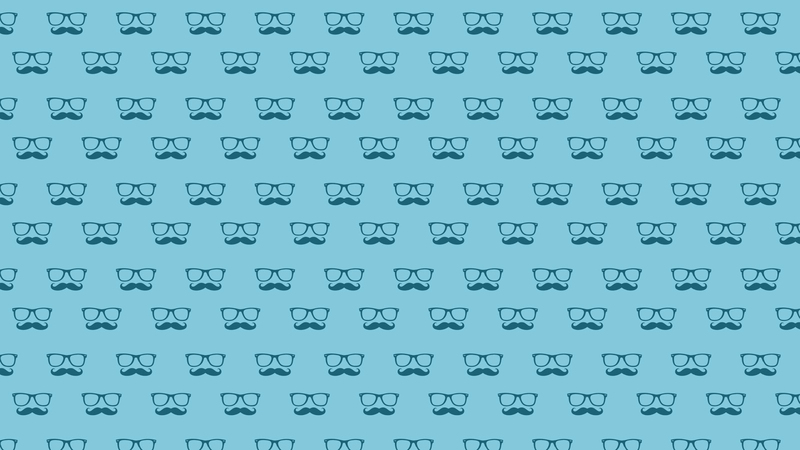 Choose from our pre-designed photo strip logos or send us your own custom design. • CONTACT US FOR CURRENT SPECIALS!